The Theory of Constraints is a management approach that focusing on making improvements by tackling the bottlenecks - or constraints - that stop manufacturing operations happening efficiently. Our Theory of Constraints Engineers Guide to removing bottlenecks in manufacturing SMEs, illustrated and described below, was pioneered by Dr. Eliyahu Goldratt in his book The Goal. Theory of Constraints, or TOC, describes manufacturing as being made up of a series of processes or linked activities. Constraints / bottlenecks within those processes are the barrier to improved operations. TOC prioritises and systematically removes these restrictions using a focused set of steps and techniques. 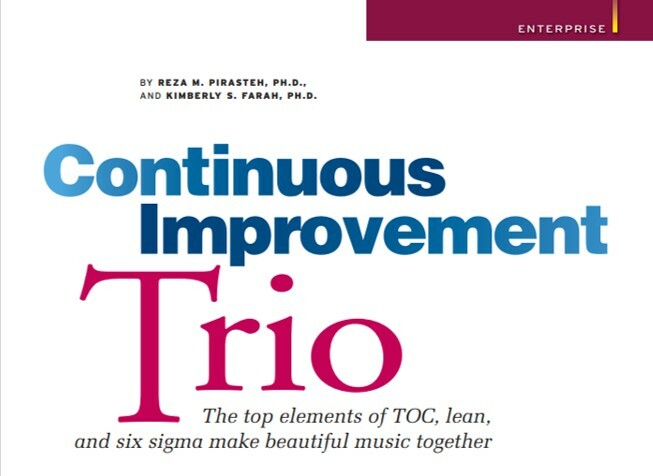 TOC can be integrated with lean, particularly using lean tools and techniques to identify the constraints. The short clips and slide shows provide a convenient Theory of Constraints Engineers guide, with follow-up information and links for more in-depth application detail and case studies. The TOC Institute offers implementation programs that blend state-of-the-art training, coaching and advisory services to inspire decisive action and boost your bottom-line, significantly.